So how does Mezco snag this license but NECA can't or won't? The license is available. NECA has said they can't come to terms that are agreeable. So I guess it comes down to Mezco accepting the terms presented to them, while NECA would not. 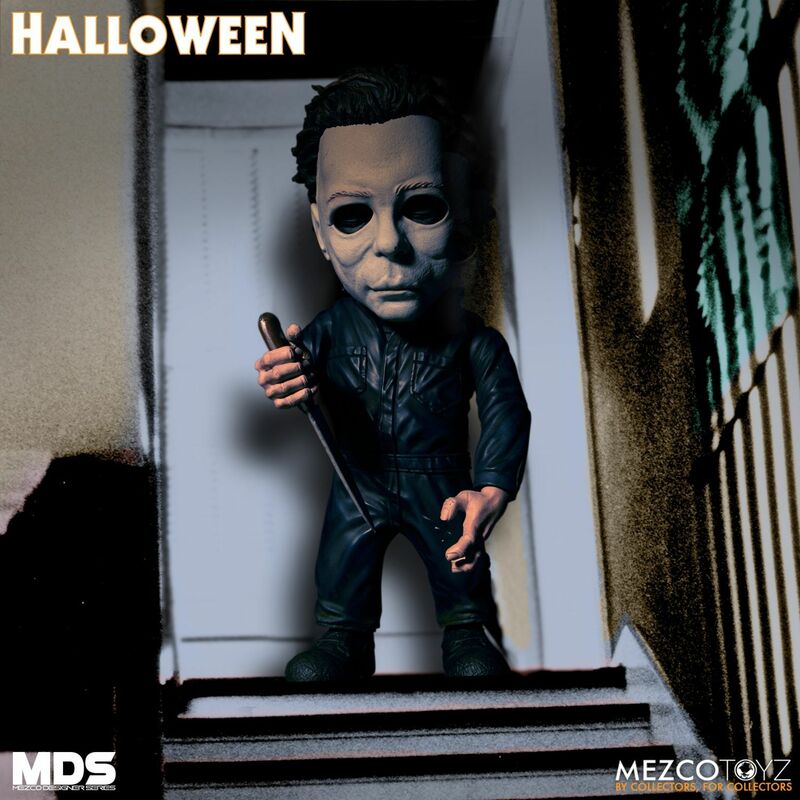 Maybe Mezco was more agreeable since they're gonna sell their Halloween stuff for a bigger profit so they can afford to spend more, but NECA would almost assuredly sell more Ultimates and 18" figures and Scalers and whatever else than Mezco's 1:12ers... Ahh well, I'm sure there's more to it than I'm thinking of! Definitely. Without the details of what NECA was offering or the license holder was requiring, there's no way to tell what the sticking point is. It's possible Mezco secured an exclusive license and was willing to give up more than NECA. Mezco's doing a good job, but can't wait to see NECA's work one day (hopefully). As for this figure though...the face looks off, especially the mouth. It looks like he's doing a duckface with his mouth.